Located in No3 Bao Khanh Lane, Hoan Kiem Dist, from the hotel, you can easily reach the Hoan Kiem Lake (1-minute walking), well-known French Quarter, Saint Joseph Cathedral, the historical places and many tourist attractions in Ha Noi. With 25 luxury Rooms , Hanoi Bonsella Hotel ensures our beloved guests the most comfortable stay for both Business or Pleasure. All our rooms are furnished with opening window, offering either city view or lake view. The hotel features modern facilities with flat-screen TV, private safety box, minibar, laptop ( on request ). The private bathroom has both bathtub or shower cabin. The service comes with breakfast served daily on top floor with wonderful panorama view and spacious. The breakfast is the combination between western food and authentic Vietnamese food. A la carte menu for lunch and dinner offers more choices for meals. 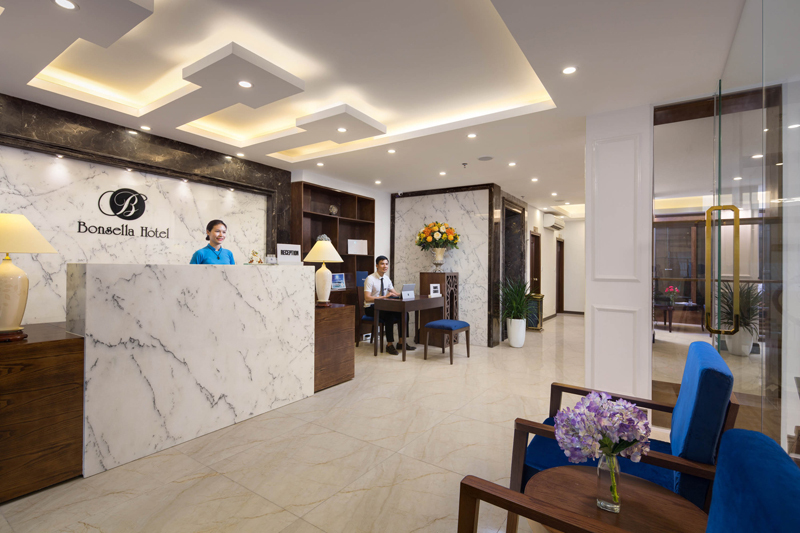 Come and enjoy your stay at Hanoi Bonsella Hotel where our professional and genuinely dedicated team is always ready to welcome and be sure that you have a memorable stay.